The key to the motion of a spring is the circle. Here is a depiction of a perfect circle. I should say a projection of a perfect circle in the Platonistic tradition. 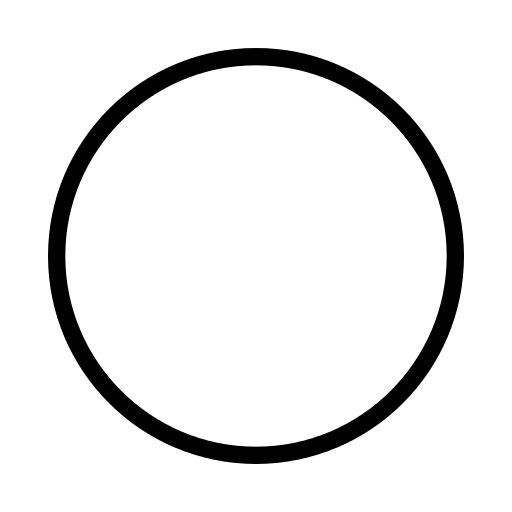 The radius of this circle can be of any value because you can scale the circle as much as you like. Shrink it, expand it, and rotate it, whatever. It will still be depicting a perfect circle. The circle realizes a finite infinity. Many non-monotheistic religions/philosophies realized this. Time is circular for these religions. But some circles sometimes have a direction unlike the perfect circle. Zen Buddhism. The circle is not complete: the deliberate unfinished stroke gives it a sense of time through the brush: clockwise in this case. This is a Western interpretation. 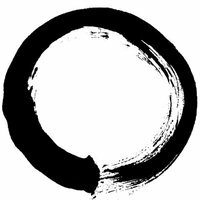 Zen is more complicated or simpler. I do not know. Viking Art. It is beautiful and intertwined and it is circular. 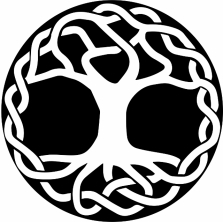 The tree breaks the symmetry, time is eternal but it is not rotation-symmetrical. But wow is it complex and simple at the same time. 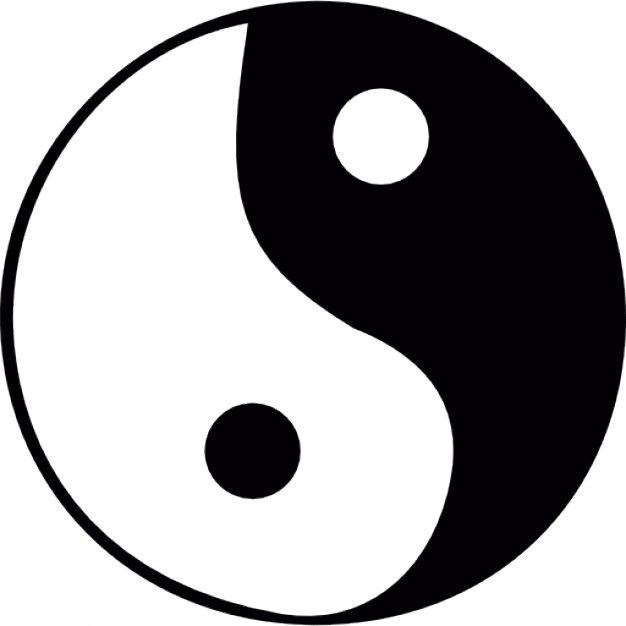 Ying and yang. Yeah I know it is such a cliché. But here it is anyway. It shows Asian elegance and minimalism at its best. No rotational symmetry, but no sense of a direction of time. 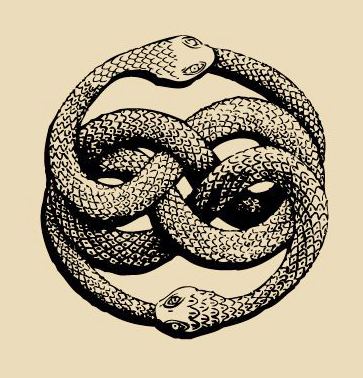 And my favorite depiction of circular time is the Ouroboros. This concept of self-cannibalism is interesting as it combines the eternal with mortality: a contradiction. But it is a powerful symbol. I saw it on many graves ranging from le cimetière de Montparnasse in Paris, France to the cemetery at the end of Nevsky Prospekt in St. Petersburg, Russia. A simple one-dimensional ideal spring that oscillates forever can be represented by a circle as well. This is a mathematical fiction as we ignore damping, friction, gravity, drag, etc. But mathematical fictions can be important to get a grasp on real problems. To realize this we work in the fancy mathematical world named phase space. When you watch a spring oscillating you see its motion in a one dimensional space: just something moving back and forth on a line. But a spring also has a velocity. Because the spring is one dimensional the velocity is also one dimensional. But the velocity changes over time along with the position. The change that affects the change affects the changes in position. That sounds weird. But it is still good old Newton Dynamics. A spring has a rest state where it does not move: boring. Now stretch it or compress and it will oscillate in a dynamic way, forever. Phase space to the rescue. What is phase space? In this case you go from a one-dimensional space to a two-dimensional space where both displacement (horizontal) and velocity (vertical) are depicted in a plane. 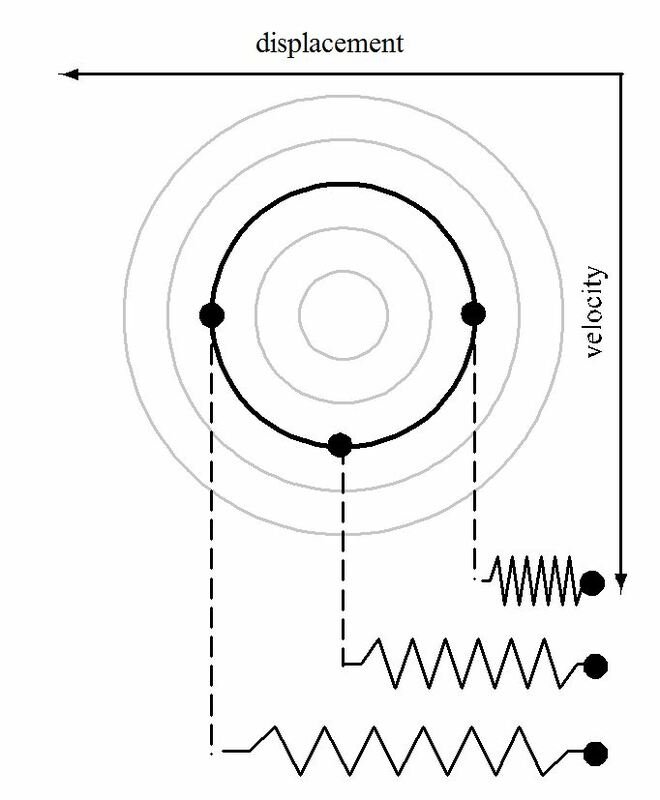 Here is a depiction of a one dimensional spring and the corresponding circle in phase space. It is a portrait of the dynamics: a phase portrait. Art meets science and science meets art. Why study simple problems before moving onto much more complicated problems? I think it is a good strategy. Focus on the simple cases first and get an intuition. Once you figure it out move on to the complex. If you cannot figure it out: give the problem to a smarter person or if you are even smarter explain why it cannot be solved. That will save a lot of people a lot of time. This strategy has worked for me. Nucleus is implemented in MAYA™ Autodesk™ to simulate cloth, ropes and particles all interacting. Nucleus has been used in Hollywood blockbusters like Avatar. A lot of production houses use it for specific shots. 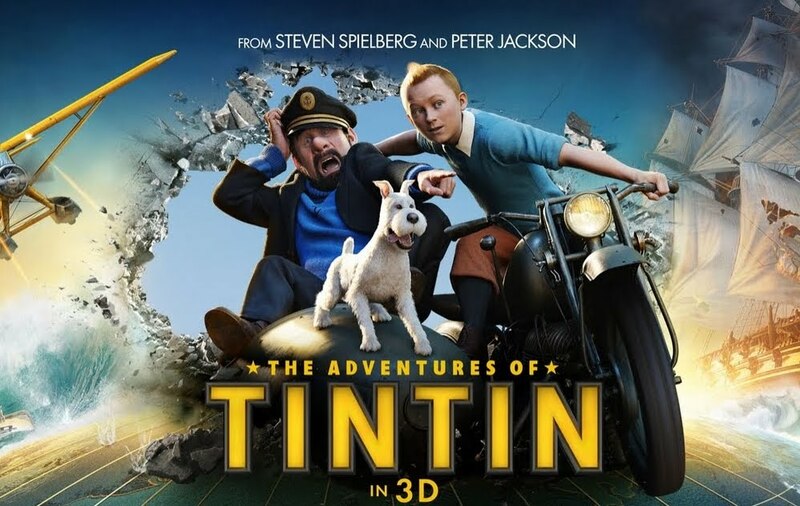 However, all the cloth in the Tintin movie was done with Nucleus. In math speak: a second order ODE has been turned into a first order ODE by adding one dimension. This is only one piece of the cloth-puzzle. Collisions are by far the hardest part (including self-collisions). But that will be a topic for a future blog. From graves to blockbuster Hollywood movies.